Jesus: a household name for most of the Western World. We know who he is, what he stands for, and we think we know his origins. But do we really know it? Or is our knowledge more a product of myth and legend? José Saramago's fictional account of The Gospel According to Jesus Christ provides an alternate history, a history that may be said to be more realistic, from the point of view of a skeptic. This novel tells the tale of Jesus, son of Joseph, from the time of his birth, up to his death. It follows most of what the Bible says Jesus' life was, with a few major changes. I'll assume that readers of this review are familiar with the Biblical account of the life of Jesus, so I'll just point out the changes that are crucial to this alternate account. 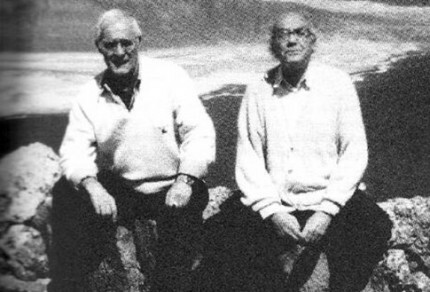 First of all, Saramago's Gospel fills in the "missing" years of Jesus' life. In the Bible, there is an account of the life of Jesus from his birth up to when he was 12-years old. Then nothing else is reported until when he is 30 and is baptized by John at the Jordan River. In this novel, however, this is not the case. There are plenty of accounts of Jesus' life in between. His father Joseph dies when he is 13, and he leaves his house to fend for himself for several years, spending time as a shepherd with a character named Pastor, who is later revealed to be the Devil. Saramago rearranges several Biblical episodes in this book. For example, the Bible states that Jesus spent a considerable period of time alone after being baptized, and the Devil proceeds to tempt him. In Gospel, however, the temptation occurs while Jesus is a shepherd with the Pastor. The Bible also states that Jesus spent 40 days with God, learning of his purpose here on Earth. The novel sees this as an episode on the Sea of Galilee, when a mist envelops the boat that Jesus was occupying, and God and Jesus, together with the Devil, had a conversation. Perhaps the most controversial aspect of this novel is the fact that Jesus is portrayed to have carried on a relationship with Mary Magdalene. Yes, folks, Jesus is not a virgin in this novel. He has a partner. And given what I know about religion and its supporters, I don't think that sits well with the conservative folk. 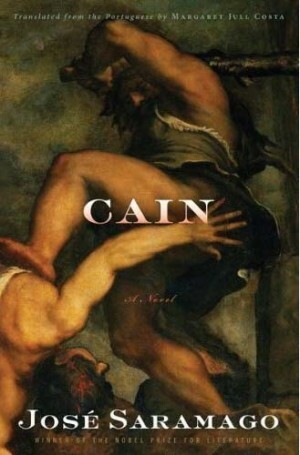 The late Nobel prize winner went out with a bang by raising Cain. A long, successful career sometimes result in complacency, a sense of entitlement that dues have been paid and there’s no need to push any boundaries. It can also provide some insularity, or protection from retribution for crossing those boundaries. Nobel Prize winner José Saramago (Nov. 16, 1922-June 18, 2010) has had a long and successful career, but Cain ($24, Houghton Mifflin Harcourt, translated from Portugese by Margaret Jull Costa), his final novel, is proof that he didn’t suffer from complacency. The Nobel laureate draws on the Old Testament to produce a fable that could end up uniting Christians, Jews, and Muslims in protest over this slim novel, something the most powerful nations in the world have been unable to do - ever. It’s heretical and hysterical, blasphemous and boisterous; it’s a new twist on an old story with over 2000 years of fallout, some imagination, and an author unafraid of stepping over the line. 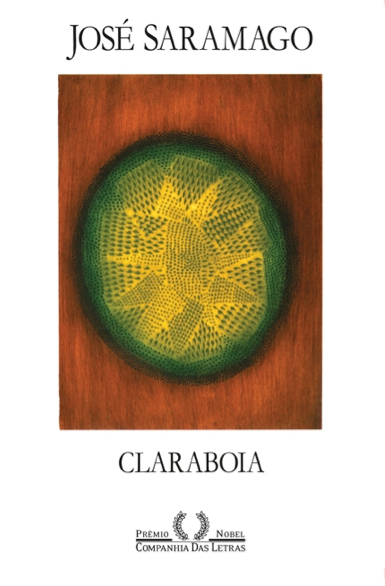 Saramago mostra seu inconfundível olhar sobre a humanidade no inédito "Claraboia"
"Al fin y al cabo los autores están en sus libros, por eso Saramago decía que había que cuidarlos, acariciarlos y besarlos como a personas”, dice Pilar del Río en el epílogo de "José Saramago, Un retrato apasionado", de Armando Baptista- Bastos. “Para quienes le amaban dejó una gran nostalgia que no se satisface con la obra, aunque sí se atenúe. 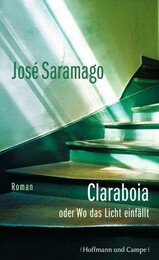 Al fin y al cabo los autores están en sus libros, por eso Saramago decía que había que cuidarlos, acariciarlos y besarlos como a personas”, dice Pilar del Río en el epílogo de José Saramago, Un retrato apasionado (Capital Intelectual), de Armando Baptista- Bastos. El libro está compuesto por una extensa entrevista a Saramago, además de una introducción y un análisis de la obra del autor de Ensayo sobre la ceguera, escritos todos por Baptista-Bastos. Pero también incluye otros apartados en los que las voces se mezclan para ir armando un perfil de ese anciano parsimonioso, de voz lenta, queda, pero siempre fuerte. Pilar del Río, la esposa de Saramago, aporta un prólogo y el epílogo del que extrajimos el texto citado más arriba, mientras que el mismísimo José Saramago aporta Breve nota autobiográfica, un texto en el que él mismo repasa su historia, una combinación de memorias y ensayos unidos con el estilo al que nos acostumbró. También hay una extensa cronología y la bibliografía completa del portugués. Y en Testimonios, especialistas (periodistas, investigadores, profesores) portugueses, italianos, brasileños, ingleses, estadounidenses y canadienses incorporan textos en los que se explayan sobre la literatura de Saramago. 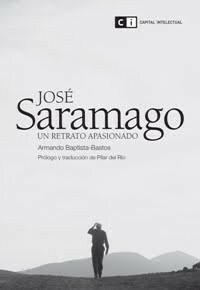 José Saramago, Un retrato apasionado es una suerte de guía para quienes aún no se hayan introducido en la lectura de Saramago, a la vez que un complemento para quienes ya conocen su literatura, porque entre las voces y las fotos (Saramago en varios momentos de su vida, jugando al tenis o arengando desde una tribuna, entre otras) el lector tendrá entre sus manos al Saramago hombre, político, escritor, amante, lo que convierte a este libro, como a todos los del Nobel, en un elemento para cuidar, acariciar y besar como si fuera una persona, porque entre sus páginas se esconde y se construye como en un rompecabezas el humano que fue Saramago.